Visiting Mexico is a memorable life experience on its own. But when you have the chance to own one of the original handcrafts made in Mexico, with centuries of people culture and tradition behind it, your memory is enriched. However, with the globalized economy we live in and the mass production of trinkets, how can one recognize an authentic Mexican handcraft? How can one differentiate a mass-produced item from one created with heart, authenticity, and history? The easiest way would be to buy directly from the person creating the handcraft or from a reliable source. 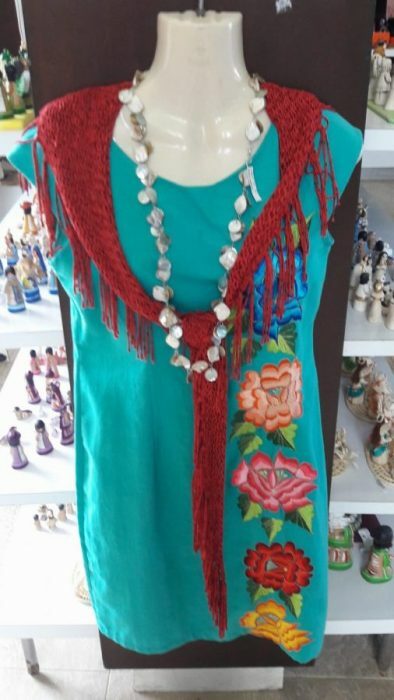 Discover Mexico Park Cozumel has aimed to work directly with the producers of handcrafts from all over Mexico to have a wide range of authentic Mexican handcrafts, making the representation of our culture available to our customers. In doing so, not only do we make sure these products are authentic, but we also avoid going through intermediaries, which helps the economies of the artists creating the actual pieces. At our giftshop, you will be able to find authentic alebrijes from Oaxaca by the renowned Jacobo & Maria Atelier, as well as handmade Olinalá wood boxes and handwoven shawls and handknitted blouses from Yucatán and Chiapas. If you fancy some authentic edible treat, we offer a taste of Mexican pumpkin seeds’ “palanqueta” candy, or an authentic mole salsa to enjoy at home. Don’t forget the tequilas and mezcal we have available- they will delight all of your friends as you tell them about your beautiful Mexican holiday. If you enjoy vanilla in your coffee or baked goods, you came to the right place! We have authentic vanilla extract to make every one of your recipes something unique and delightful. Discover Mexico can offer you one of the most amazing shopping experience you could have while on Cozumel Island. With our unique handmade arts and crafts, we are your one stop for gifts and souvenirs.